Yup, this is concrete! 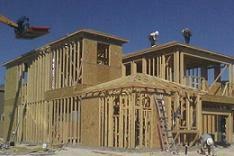 Or is it cement, steel, or maybe timber frame homes you’re looking for? Obviously you were directed here in your search for information about your construction project. Given the thousands of information online offered on any given subject, how do you know which one best fit your needs? First of, why me? Because I had experienced and dealt with just about anything that you can think of after more than 15 years in the industry as an engineering designer, estimator,construction engineer, cement contractor, and general contractor. My construction knowledge and experience started as structural engineering student at the University of Utah followed by working as a structural designer immediately after graduation. After years creating and preparing construction plans it became a natural transition to general contracting working directly with business and home owners. You will find advanced engineering and construction advice here. If you’re unsure what size footing to use or don’t know how to do an addition to your house or maybe you want to remove a wall in your remodel project. Diy projects always begin with a thought. To make that thought become reality and before you pay someone for a service that you may not need, let me take a shot at it. After all, the only payment you will make is the time to type your question. Look around this website, if you can't find what you're looking for, shoot me your question in the Got Question page and I'll be sure to respond quickly. As the site name suggests, this website is about concrete. Even though steel and wood are very reliable structural materials, neither can function effectively without cement. A wood or steel building is useless without concrete footings, foundations, and slabs. In all life without concrete is unreliable and miserable - that is if you're a building or a house. 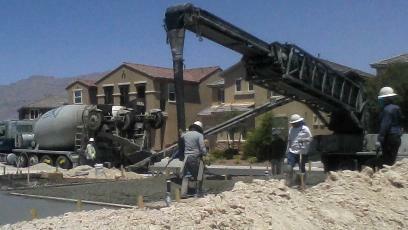 For those reasons among others many consider cement as the king of all building materials. Steel beams are increasingly popular in residential construction and will continue to be as such for years to come. Due to the lack of land to build and with population growth, building materials will continue to be pushed to the limit. In homes where suspended slabs over garages are needed as well as where wood has reached its design limit, steel beams has become the material of choice. Due to the fact that cement and concrete worldwide are being used interchangeably to mean the same, this website is a reflection of that fact. “Therefore whosoever heareth these sayings on mine, and doeth them, I will liken him unto a wise man who built his house upon a rock." Nowadays concrete is the man-made rock spoken of where homes, highrises, hotels, hospitals, warehouse, bridges, schools, stadiums, airports, etc are founded upon. 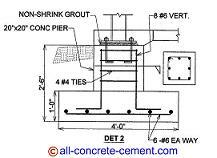 If you haven't found the answer to your concrete question, this section was created for you. Our visitors who are seeking for information are encouraged to ask question. 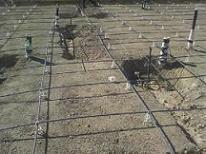 Continuous footing, wall footing, strip footing, and spread footing all refer to the same type of footing. The footing design process for these footings are all the same. Garage foundation is identical to home foundations, in fact most foundations for garages and homes share the same detail. Discover different foundation options that can be used for garages. DIY Concrete Slab is a great way to learn and save money. Learn the procedures of preparing your cement floors and concrete slab leveling. Prepping elevated cement patio can be tricky and costly if you don’t do it right. Provided here is a very effective way for your diy concrete patio or for contractors. Disclaimer, while the information contained within the site is periodically updated, no guarantee is given that the information provided in this website is correct, complete, and/or up-to-date. Wall footing also known as continuous footing is built specifically to support walls. 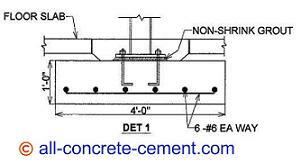 When building concrete footings are cast monolithically with the slabs it is called thicken slab.